The history of the Endangered Species Act (ESA) is muddled. Though passed with the greatest of intentions to save jeopardized plant and animal species in 1973, surprisingly few species have actually been recovered. Instead of serving as a catalyzing force towards the promotion of environmental stewardship, the ESA has become nothing short of a roadblock to achieving its original goals while simultaneously engendering great animosity among water users and landowners in the western United States. There are currently 1,392 plant and animal species listed as “endangered” or “threatened.” According to the U.S. Fish and Wildlife Service (FWS), the government agency responsible for enforcing the ESA, 26 species have been removed from the list as “recovered.” However, that list includes three recovered species of kangaroo in Australia. There is much room for improvement. Yet there have been some important success stories. No state serves as a better example of effectively recovering species than Colorado. 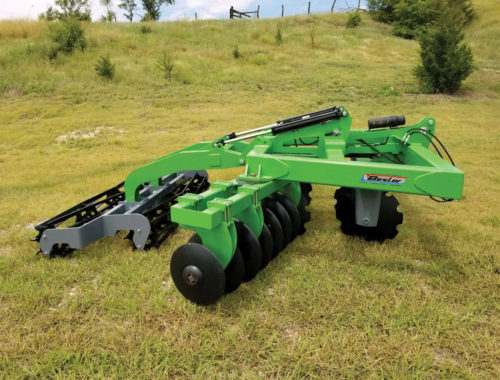 Instead of pitting the needs of species against the needs of people, Colorado has pursued solutions for recovering species that keep farmers irrigating and have little adverse effect on landowners’ property. In the late 1990s, faced with the likelihood the FWS would list the lynx as endangered in Colorado (the lynx had not been seen in Colorado since the 1930s), thenGovernor Bill Owens directed Colorado’s Division of Wildlife (DOW) to begin a bold reintroduction program. The DOW captured lynx in Alaska and Canada and released them into the remote San Juan Mountains in southwest Colorado. From 1999 to 2006, the DOW released 218 lynx while monitoring them with radio and satellite-tracked collars. Since that time, there have been multiple generations of lynx born, and the reproduction rate has outpaced mortality. The Upper Colorado Endangered Fish Recovery Program and the San Juan River Basin Recovery Implementation Program are additional examples of strong Colorado initiatives. Tom Pitts discusses both in this issue. In 2004, I participated in an educational tour of Colorado’s lynx and fish recovery programs. What I remember from that trip is that both programs worked with the water users and property owners. 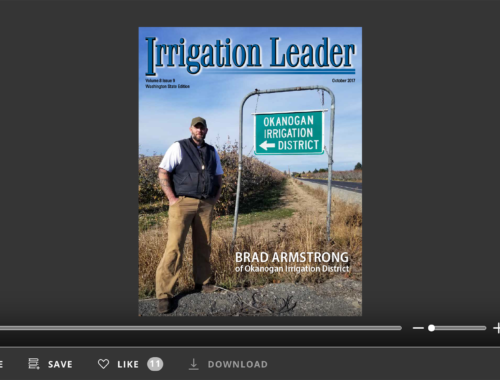 No one lost the ability to irrigate or the use of their property. Instead, the programs provided protection to the irrigators and landowners from potential “takings” violations of the ESA and the threat of litigation from third parties. Such success is possible when the needs of people are prominently included in species recovery solutions. 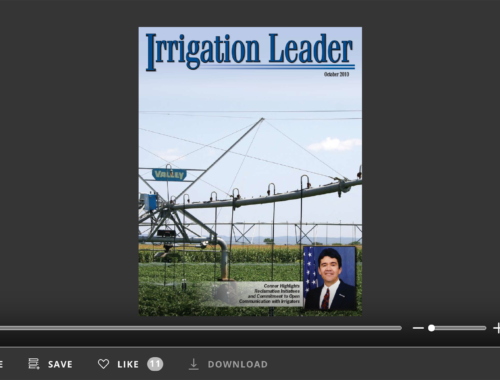 This issue of Irrigation Leader focuses on the ESA, where and how irrigators have been able to find solutions and also, as is the current situation for the Guadalupe Blanco River Authority, how the ESA can be misused and unnecessarily put water rights at risk. Cooperative solutions that respect state water law, water and property rights are possible among water users, landowners, governmental entities, and environmental groups and are necessary for our nation to develop a truly successful endangered species recovery program. Anything short of a cooperative approach only serves to further diminish the original goals of this landmark 1973 legislation.